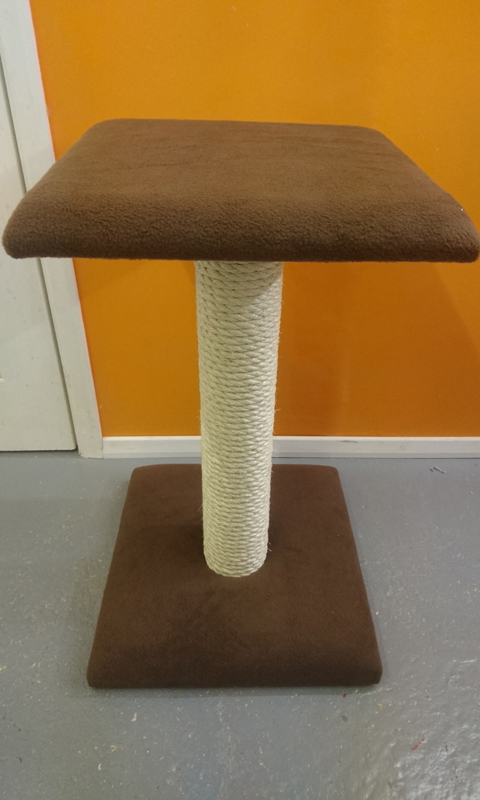 This great value cat scratching post benefits from a luxurious soft base and matching top platform. 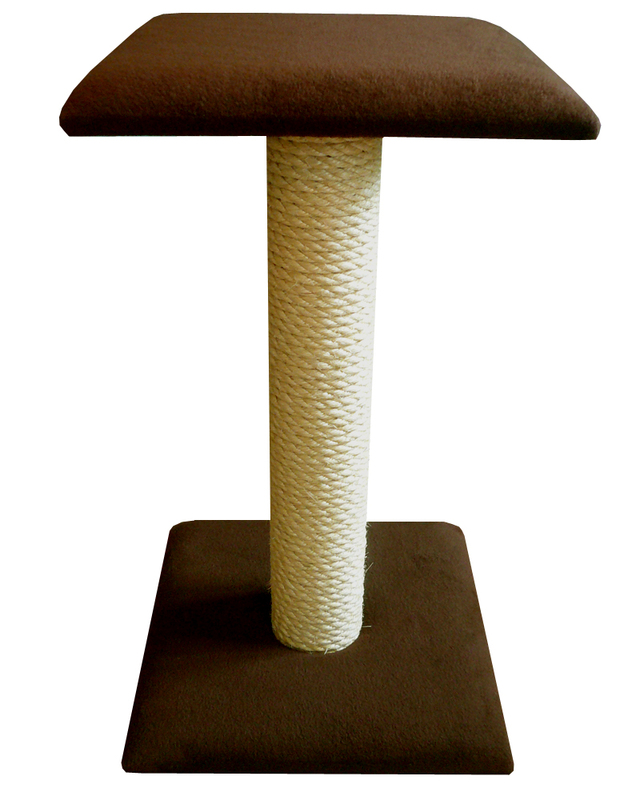 With 1 inch thick upholstery foam wrapped in sumptuously soft fleece, your cat will love the warmth and soft feel of this cat scratching post. 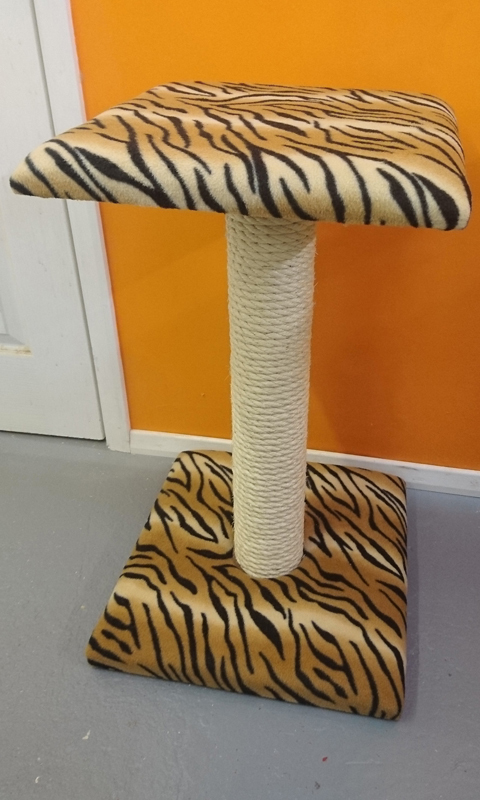 So you're on a budget, but you still want a quality cat scratching post with a platform that is large enough for your cat to use and love. 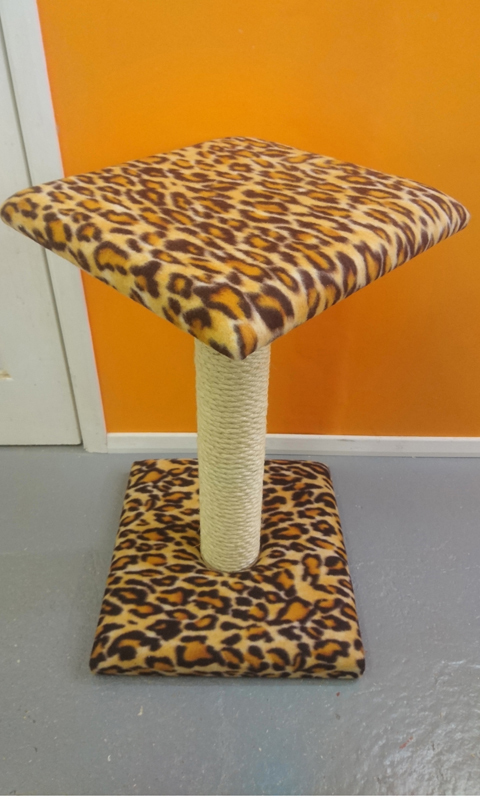 Then this is the post for you! 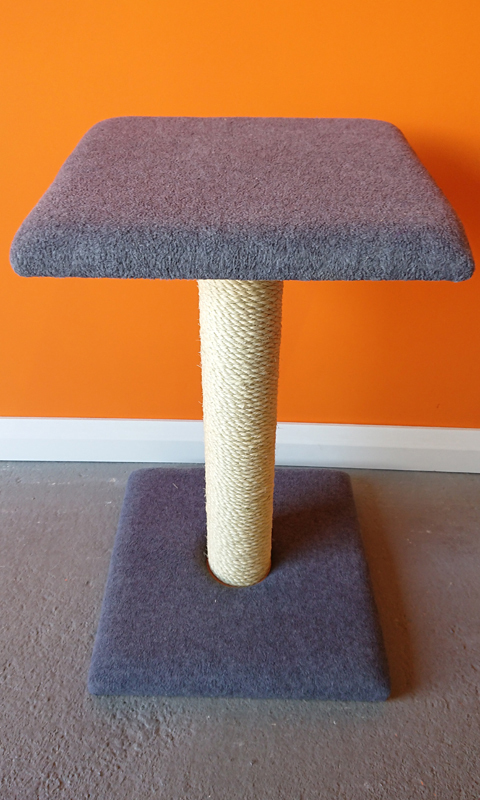 Just because we call it the 'value' platform post doesn't mean it's of a lesser quality. 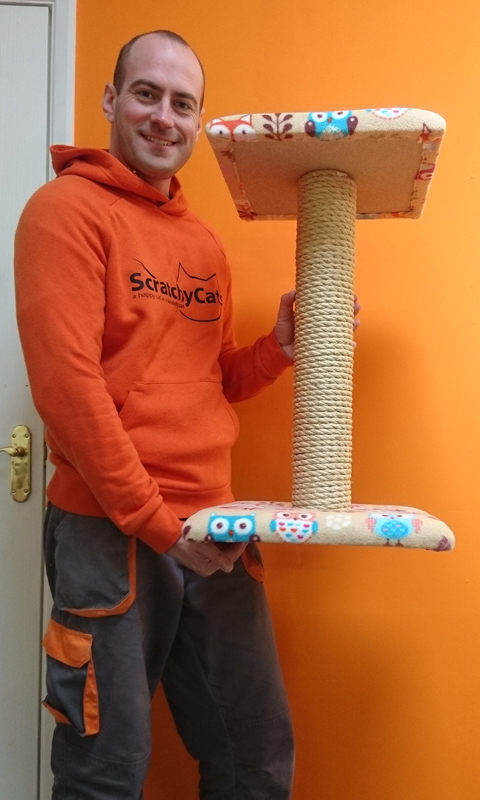 It uses the same materials and construction techniques used on all of our products. 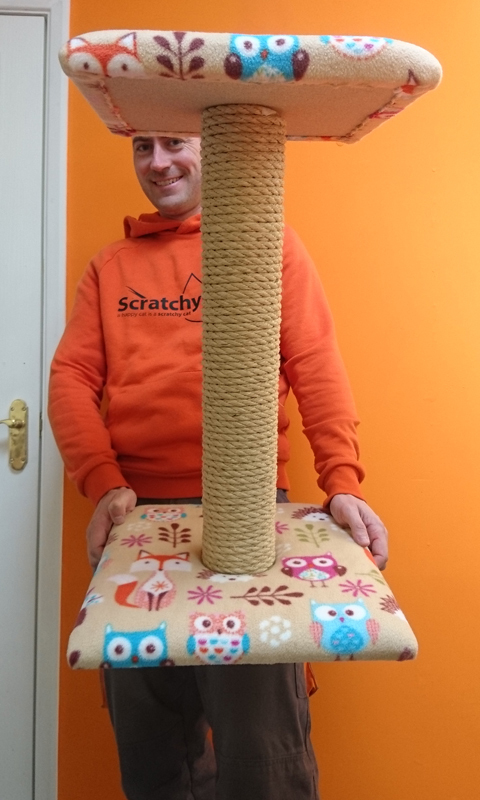 It's by no means small either, this is a sizeable cat scratching post. It's chunky appearance is appealing to your cat. 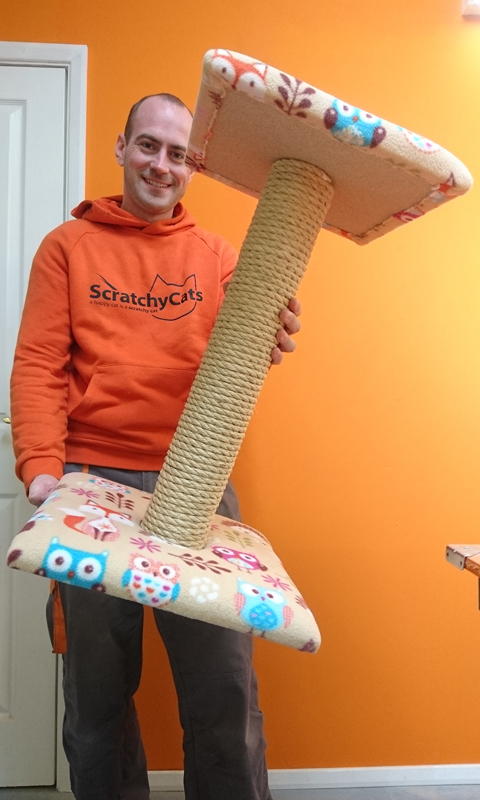 Its post is over 100mm wide (that's 10cm), and your cat will go wild for it. 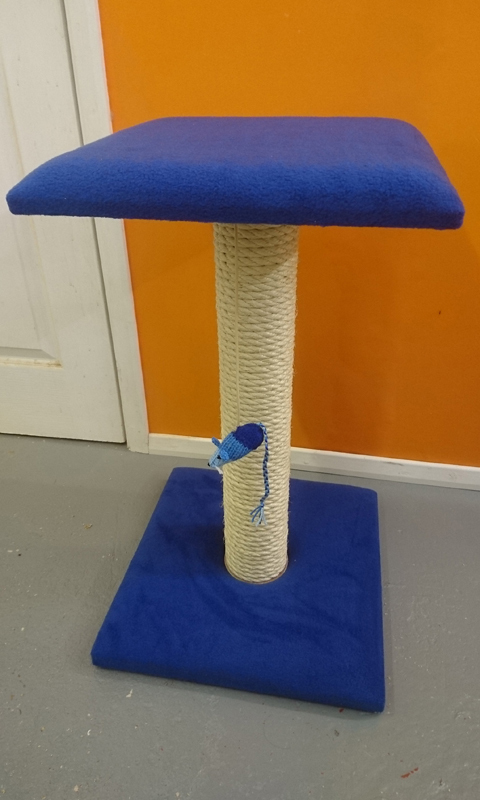 It's durable too, and built to last with a super strong 3-piece construction - simple screw together at home (no tools required)! 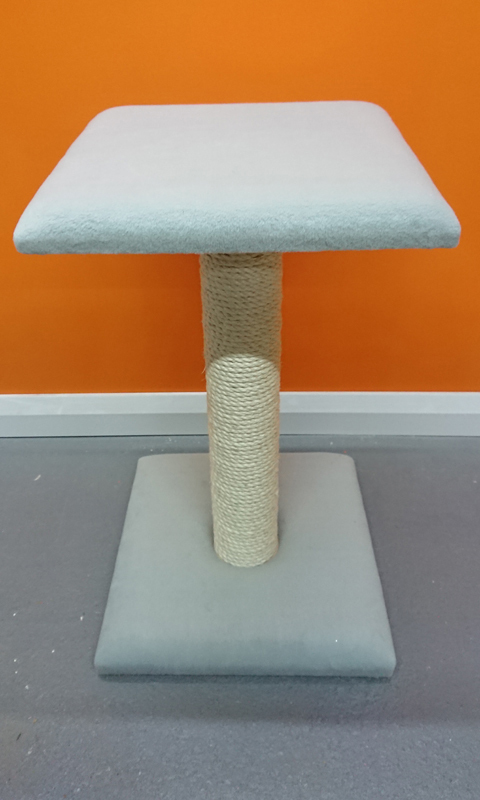 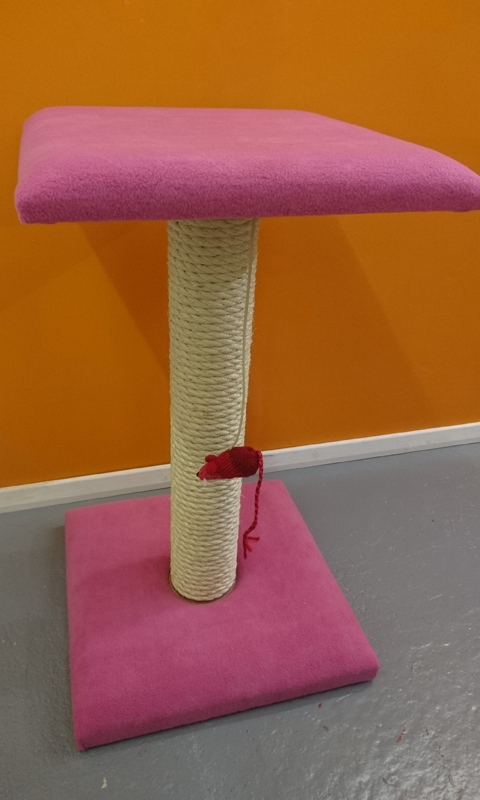 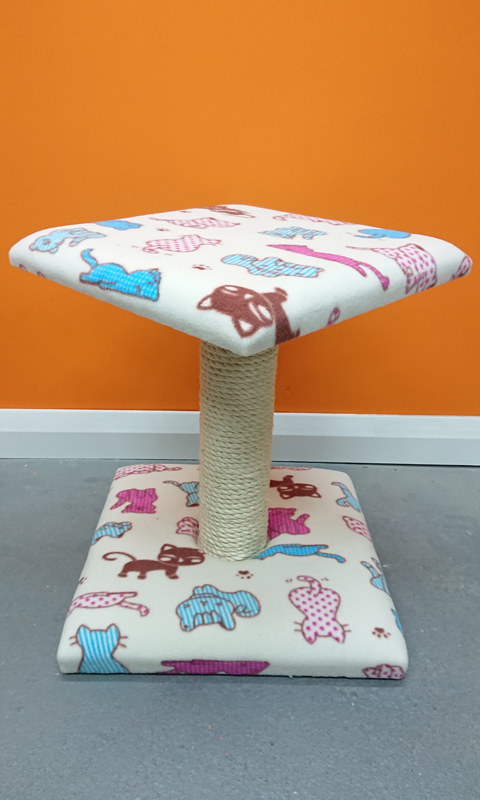 Here are some photos of the Value Platform Cat Scratching Post finished in a variety of different colours and height options. 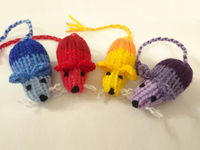 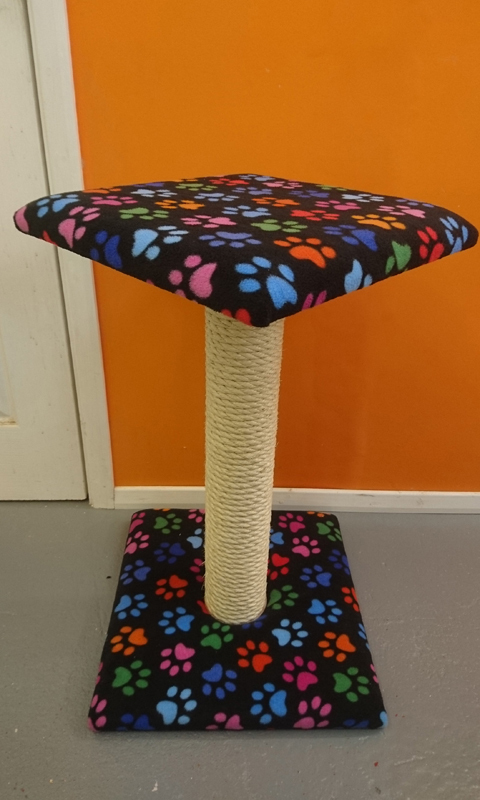 If you require a multi-coloured design with different colours for the base & platform please choose 'Multi-Coloured' and email us your colour choices following your purchase to info@scratchycats.com.